The last time I drank at the Hotel Concorde Lafayette I was slurping Smurfs. 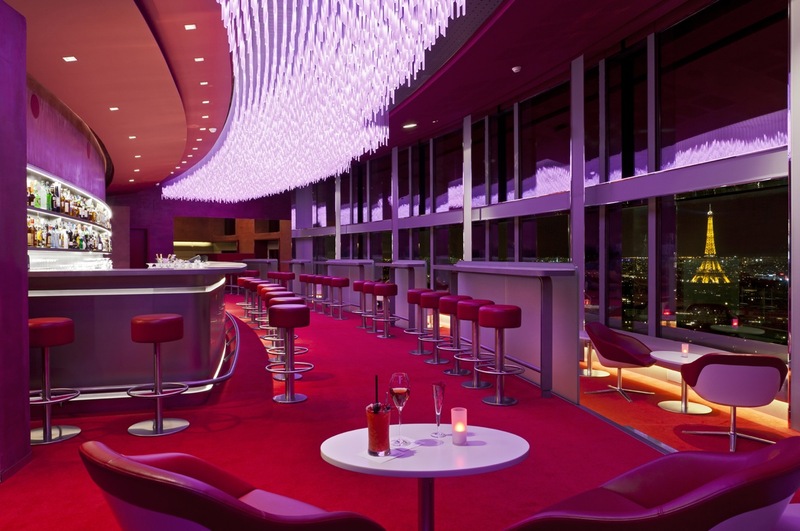 So, after the recent overhaul of this lofty lounge, I once again took the elevator up to the 34th floor to see what Italian designer Pier Luigi Copat and Cocktail Zone’s Mixologist of the Year for 2009, Stephen Martin, would bring to the new bar. No sign of the prior old-school style remains. In its place is an updated version of Miami Vice meets the Jetsons. A modern 11,000-glass rod chandelier dominates the room diffusing an alternating array of pastel to near neon green, pink and violet light. Retro chairs are grouped around simple, low, round tables and tall stools line the 15-meter long sleek metal bar. 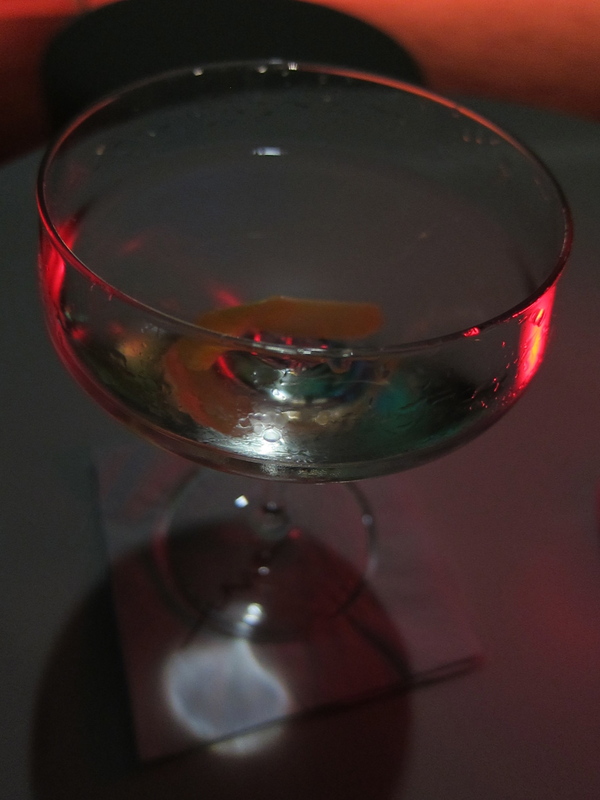 I pulled up a stool alongside the wall-to-wall window for a martini with Bombay Original, which was icy cold and made with pleasing gin to vermouth proportions. The gin selection seems to have a little something for everyone with Bombay Original, Gordon’s, Beefeater, Bombay Sapphire, Tanqueray, Tanqueray 10, Hayman’s Old Tom, Hendricks and Sipsmith. But, even with the panoramic view, 25 Euros is a high price tag for a well-made martini. I’d also like to see a few bar snacks come with a drink in that range. The menu is a mix of old and historically significant recipes, mass-appealers like the mojito and house creations ranging from vanilla-flavored vodka choices to bitters or bourbon based imbibes that will please a more mature palate (one of which comes with the instructions not to drink it unless you are over 50.) Martin’s menu illustrates his familiarity with the cocktail world with homage to Schumann (Gimlet a la Schumann’s) and a shout out to cocktail historian, David Wondrich, for the Chanticleer cocktail. The night of my visit shortly after their launch was a mix of splashy scenesters and view-seeking tourists. And the view is spectacular. But, at a price. WOW! What a make-over! My husband took me here shortly after we arrived in France about 8 years ago and I was shocked that I had never been before. It offers such an amazing view of Paris/the Eiffel Tower and the scene was surreal. I felt like I had stepped into a time warp : half Vegas/half early 19th century. There was such an odd mix of people and I do remember thinking that the price was a bit high for what it was but worth it for the view alone. It looks so sleek and modern now. Will definitely have to go back and check it out soon. Thanks for the great review. 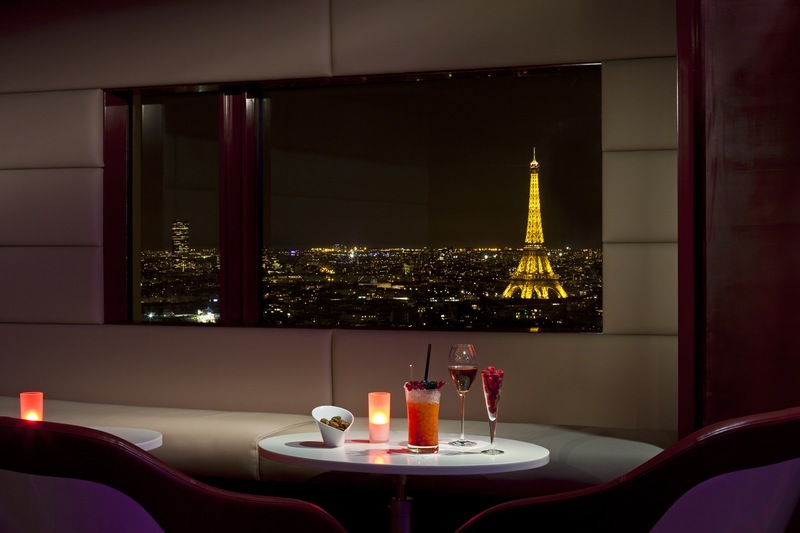 I’ve wanted to go there since we moved to Paris and now I know I can get a Hendricks Martini along with the fantastic view. Cheers! ParisReally: let us know what you think when you get there! i love Paris views, so i will be checking this place ASAP. *Loving* the sound of this bar and it is SO on my list for places to go for next trip to Paris in May. Hopefully I can even persuade Cat to join me if she hasn’t already been. Thanks for the tip.